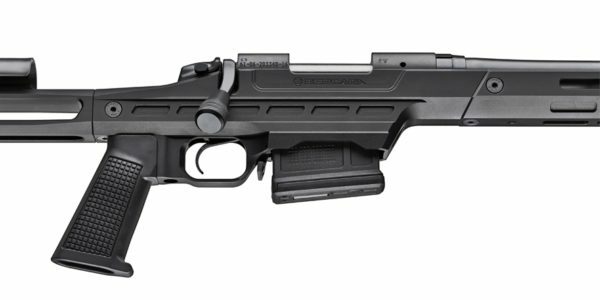 New for 2017, Bergara Rifles has introduced the B14 Series Bergara Match Precision (BMP) Chassis Rifle. 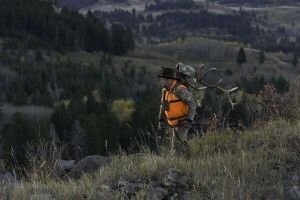 It is built using the B14 system, including the action, barrel, and trigger. 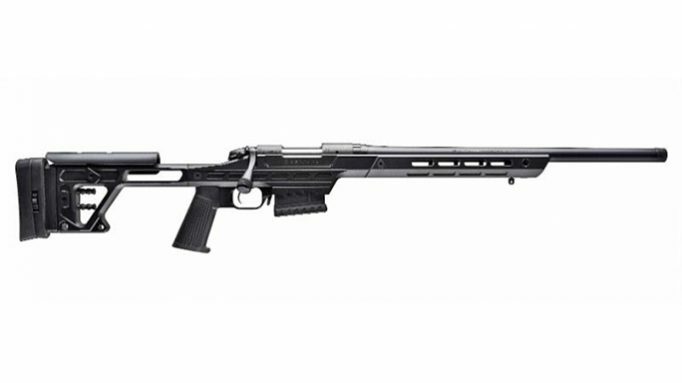 The rifle is on a solid aluminum chassis to be extremely precise and user-friendly. 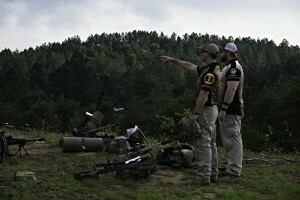 It is made for the shooter who demands precision and accuracy at the range, in the woods, or at a shooting competition. “Manufactured by Bergara Rifles, the B14 BMP’s main chassis is machined from solid 7075 T6 aluminum. The forward portion of the BMP Chassis incorporates flush cup mounts for QD attachments, as well as Magpul® M-LOK modular locking accessory mounting slots. The M-LOK design allows shooters to easily mount accessories on an as needed basis. The main body of the BMP Chassis is precisely machined to cut weight and perfectly fit the Bergara B14 action and world-renowned Bergara barrel, which is known for its accuracy and consistent performance. The incredibly smooth B14 action and barrel incorporate a barrel nut design that allows shooters to replace or change barrels, should they desire to do so. The magazine well front is designed and contoured so that it can be used as a support brace when leaning against shooting supports. The main magazine body is precision machined and designed to accept AICS style magazines. With a near vertical AR style grip, the BMP rifle feels very comfortable to many shooters and allows for ambidextrous use. The rear stock of the BMP Chassis is specifically created to offer a multitude of adjustments for many different types of shooters. Equally as important, every single adjustment can be made completely by hand and without the requirement of a tool. The rear stock is precisely machined to reduce weight, yet offer extreme functionality. The cheek riser is adjustable up and down and has multiple machined positions, allowing snap rings (included) to be inserted preventing inadvertent change of the set height position. Both the length of pull and the recoil pad are fully adjustable. The recoil pad can be adjusted vertically, as well as left and right canting. Another great feature of the B14 BMP Chassis Rifle, should the shooter decide, is the option to completely remove the rear stock and replace it with a common AR-style buffer tube and rear stock. This modularity allows the BMP to be outfitted with many different types of aftermarket stock options. 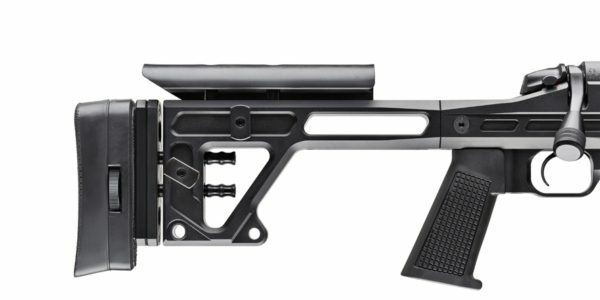 Bergara will also offer a side- folder adapter for the rear stock of the BMP to reduce its overall length during storage or transportation. The MSRP for the Bergara BMP will be $1699.